Study in Russia From Pakistan | study in Russia for Pakistani students. Russian universities offer several types of education. Firstly, there is full-time attendance, when you need to be present at the university classes during the day. Secondly, there is the evening option, when you attend classes in weekday evenings and weekend days. Thirdly, you may choose part-time enrolment, where students listen to introductory lectures and subsequently study at home in accordance with a specially developed curriculum, and then come to the university to pass tests and exams. There are several levels of higher education: You can study in programme that award a Bachelor's, Specialist, Master's, or Postgraduate Degree as well as professional training programme or career advancement programme, or you can simply come to study Russian language. There are about 3000 Higher Education Establishments in Russia. All modern specialties (more than 500 specializations) are represented there. Degrees received in Russian Universities are highly appreciated all over the world. Graduates easily continue their postgraduate education in any state of the world and find well-paid jobs in different international companies or in their native countries. In order to start studying at a Russian university, international applicants must prepare a set of documents that are required for enrollment. The first thing to do is certify your high school diploma. This can be done by a consulate of the Russian Federation, but there are other options; see this section for details. Several countries have signed a special agreement with Russia under which a foreign education document is automatically recognized as valid. Read our article on legalization to learn if your country is on this list. Once you have completed studies at a Russian university and received a diploma, you will have to undergo the legalization procedure again – this time on Russian territory so that your education document is valid abroad. How much does higher education for foreigners in the Russian Federation cost? Studying at a Russian university on a contract basis is an optimum combination of a price and quality: international students gain fundamental knowledge and prestigious diplomas for a very reasonable price. The tuition fees of Russian universities may be different, but in any case, it is lower than in Europe or in other countries. At the same time, the quality of Russian education is as fine as European one. The Ministry of Education of the Russian Federation determines the minimum tuition fee – it cannot be less than the amount invested in education per student by the state. Certainly, tuition fees of Russian universities depends on the specific curriculum, its duration and the institution where the training will take place. In addition, household spending in Russia (housing, food, transportation, medical insurance and others) is lower than in many countries. Full-time international students are offered a variety of benefits, the same as Russian students. Some Russian universities sometimes encourage talented students and give them discounts on tuition. How much does it cost to get a Bachelor's degree in Russia? Study in Russia – How much does higher education for foreigners in the Russian Federation cost? After completing four-years-undergraduate programmes, students receive a bachelor's degree and a diploma of higher education. After that, students can continue their studies and take a Master programme. Training on full-time department of the Bachelor's Degree costs approximately 120-140 thousand rubles ($ 2,100-2,400)* per year. The minimum cost is 67 thousand rubles ($1200) per year; the maximum – 380 thousand rubles (about $6600) per year. How much does it cost to get a Specialist’s degree in a Russian University? Specialist’s degree is awarded after at least five years of training. It has more of practical focus in comparison to a Bachelor. The cost of training on the full-time department of the Specialist’s degree is about 150-170 thousand rubles (2600-3000 dollars)* per year on average. The minimum cost is 68 thousand rubles ($ 1,200) per year. The maximum is 430 thousand rubles ($ 7,500) per year. The cost of studying a Specialist degree in a medical university in Russia is on average 220-250 thousand rubles ($3,800-4,300) per year. How much does it cost to get a Master’s degree in a Russian University? Master’s degree is awarded after two years of training and provides a deeper knowledge of the chosen major of studies. You can apply for a Master programme if you have either Bachelor’s or Specialist’s degree. Training on the full-time department of Master’s degree on average costs 160-180 thousand rubles ($2,700-3,000)* per year. The minimal cost is 82 thousand rubles (about $1,400) per year. Maximum – 450 thousand rubles ($7,800) per year. How much does a Postgraduate study cost in a Russian University? Studies in postgraduate programmes last at least three years. Graduates with Master or Specialist degree can apply for a postgraduate programme, if they are interested in research and teaching. After the defense of the thesis, graduate students are awarded the degree of Candidate of Science (PhD). Training on the full-time department of the post-graduate course costs on average 200-220 thousand rubles ($3440-3800)* per year. The minimum cost is 72 thousand rubles ($1,240) per year. The maximum – 250 thousand rubles ($4,300) per year. How much does the training at the Preparatory Department of the Russian university? Many universities have Preparatory Departments, where potential international students can take an intensive educational course, which allows them to apply to any Russian university in future. Usually the programme includes an intensive Russian language course, as well as some general courses which a necessary for examination on a chosen major of study. Training in the Preparatory Department can take from a few months to a year. Bachelor and Master programmes differ in curriculum and tuition fees. Training in the preparatory department, for both undergraduate and graduate students, costs approximately the same – an average of 120 thousand rubles ($2,100)* for the annual course. How much is a fee for Summer School? There are short thematic programmes, which include not only training, but also cultural and entertainment programme in the most universities. Most often, it is a Summer School, but universities also host spring, autumn and winter courses. As a rule, such programmes last from three to eight weeks and provided with a certificate of participation. Tuition fee in a Summer School on average is about 20-40 thousand rubles ($350-690 dollars)*. Sometimes universities offer students to pay only travel, or travel and accommodation, and the educational programme itself is free of charge. There is a convenient search tool on our website, which will help you to choose a suitable basic educational programme (Bachelor's Degree, Specialty, Master's or Post-graduate course) or an additional course (Preparatory Department, Summer Schools and others). You can find a tuition fee in the description of each programme. After you have selected the programme, register your personal account, fill out the questionnaire, select the training direction and send the application free of charge, directly to the university. You should indicate the name of the programme that interests you in the comment section. You will receive the answer within ten days. This is a symbol of the whole country, not just Moscow. The Kremlin is the oldest part of the city where Grand Prince Yury Dolgorukiy built a fortress that was first mentioned in the chronicles in 1147. The Kremlin houses a complex of 15th-19th-century buildings, including the Grand Kremlin Palace, Armory Chamber, the Senate, the current official residence of the Russian president, churches, and examples of Russian cast work such as the Tsar Cannon and the Tsar Bell. 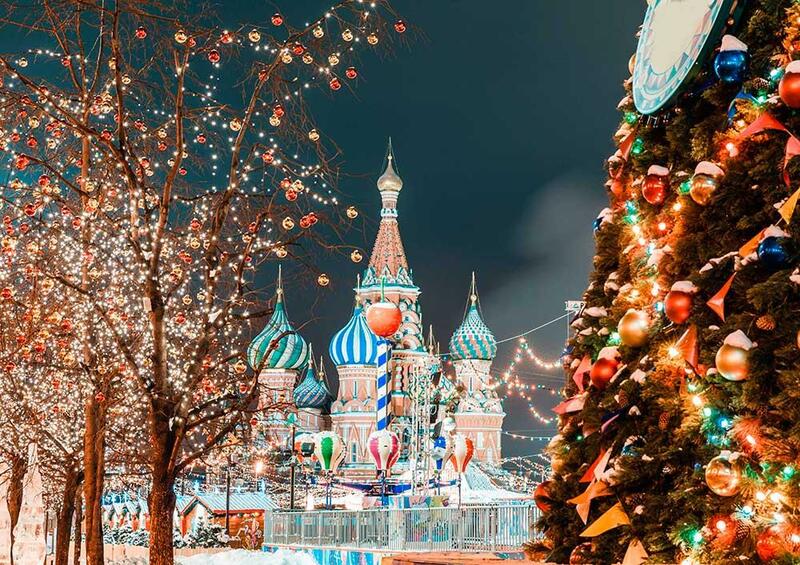 Red Square, which dates back to the 14th century, is home to Saint Basil's Cathedral, the State Historical Museum, and the Lenin Mausoleum, the resting place of Bolshevik leader Vladimir Lenin. The Kremlin and Red Square have been under UNESCO protection since 1991. Saint Petersburg is one of the most beautiful cities in the world, primarily due to its unique architecture. 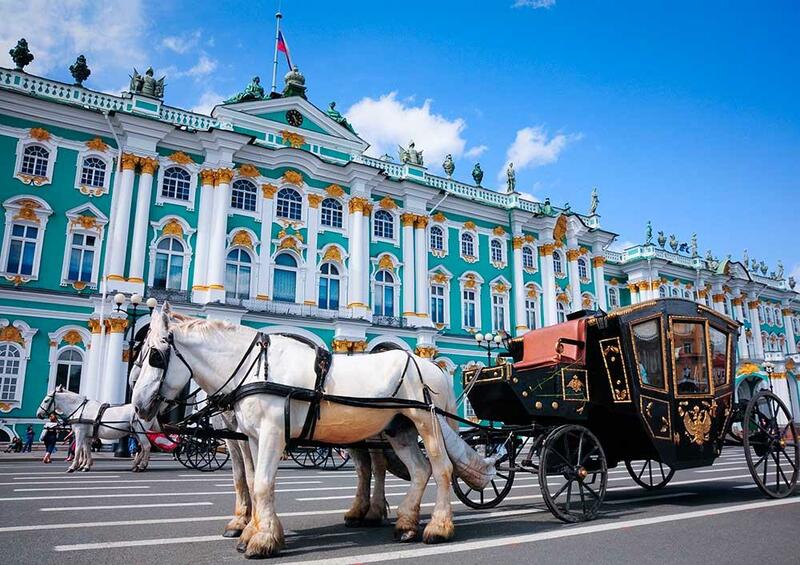 Its historical centre and suburbs are known throughout the world for their outstanding architectural monuments, with palaces and cathedrals built by Russian and Italian masters from the 18th and 19th centuries. Must-see sights include the Peter and Paul Fortress, the Peter and Paul Cathedral, the Kunstkammer Museum, Peter I's Summer Palace, the Winter Palace, Smolny Monastery, the Hermitage, the Academy of Sciences, the Academy of Arts, the Marble Palace, the Taurida Palace, the Anichkov Palace, the Kazan and St. Isaac's Cathedrals, the Spit of Vasilyevsky Island, Palace Square, and Nevsky Prospect. In addition to the historical centre of Saint Petersburg, UNESCO also protects palaces and parks in its suburbs, with the palace in Peterhof arguably the most magnificent of them all. 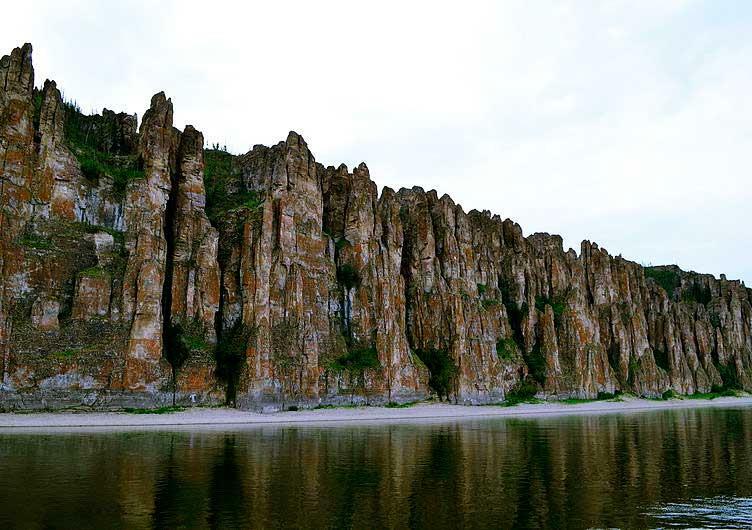 The Lena Pillars are vertical rock formations that stretch 40 kilometres along the banks of the Lena River in Yakutia. They date back to the early Cambrian period (530 million years ago). From afar they appear to form a solid wall that descends into the river. Harsh yet magnificent, their incredible beauty is truly mesmerising. They have been under UNESCO protection since 2012. The Solovetsky Archipelago includes six islands with a total area of 300 sq. km and is located in the White Sea, 250 km from Arkhangelsk. This area is rich in archaeological monuments, the oldest of which date back to the 2nd and 3rd millennia BC. One of the main sights here is the Solovetsky Monastery, which was established in the first half of the 15th century. In the early 20th century, this centuries-old citadel of Orthodoxy was converted into a camp for political prisoners that existed until 1939. It was only in the nineties that monastic life resumed here. The Solovetsky Archipelago, which is now a historical and cultural reserve, is fascinating not only because of its dramatic history, but also because of its unusual landscape, including hills, lakes, and gullies. 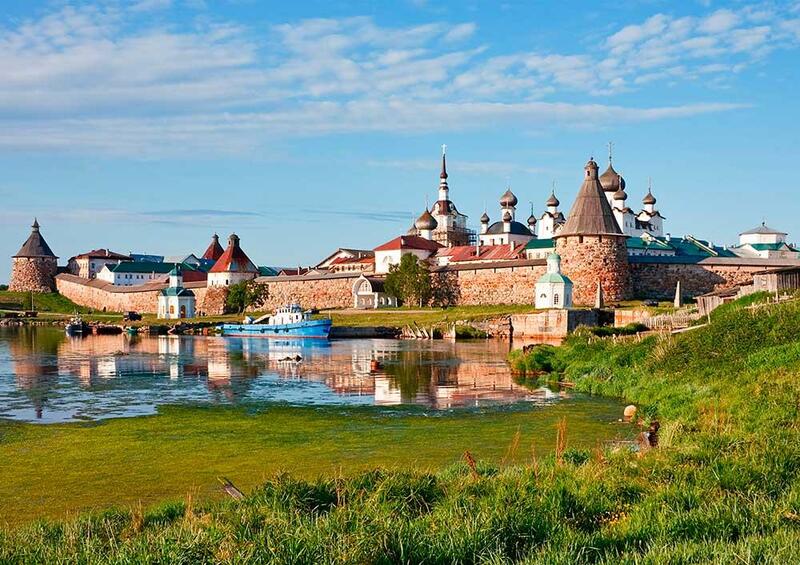 The Solovetsky Archipelago has been under UNESCO protection since 1992. These are among the most ancient Russian cities that were at the helm of the old-Russian Vladimir-Suzdal principality in the 12th and 13th centuries and which still preserve some unique architectural and artistic features you won't find anywhere else. These features include masonry from white limestone, refined proportions, exquisite stone carving, and an exterior "lightness" of the buildings that all blend in with the surrounding landscape. The Uspensky and Dmitrievsky cathedrals in Vladimir, the Golden Gates, Cathedral of the Nativity in Suzdal, and the bishop's chambers in the Suzdal Kremlin, Spaso-Evfimiyev and Pokrovsky monasteries are the most prominent examples of this architectural style. Included in the UNESCO World Heritage List in 1992. Lake Baikal in the southern part of Eastern Siberia is a unique natural site that is 25 million years old. It's the oldest freshwater body on Earth and the deepest lake in the world. 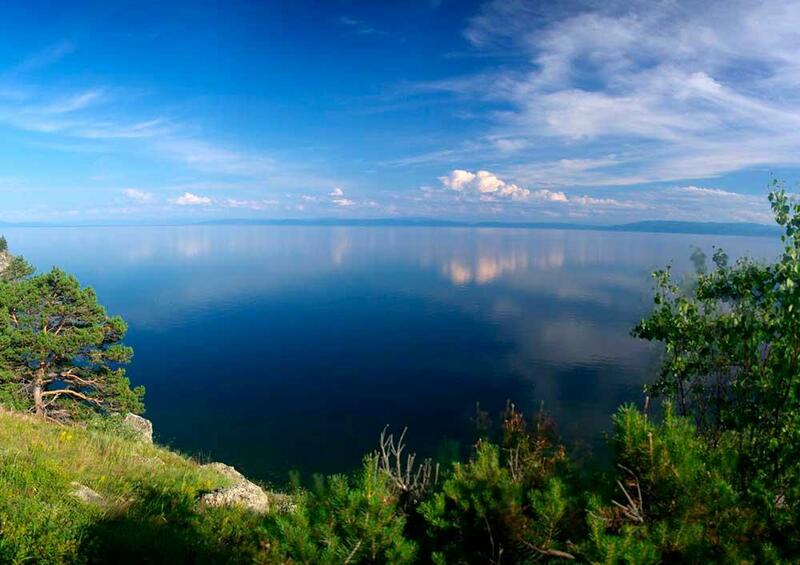 Baikal is the biggest lake in Russia. It contains 20% of the world's fresh water. The water in Baikal is completely transparent, and some objects can be seen at depths of up to 40 meters. Its flora and fauna consist of thousands of species and varieties of plants and animals, three quarters of which cannot be found anywhere else in the world. The incredible beauty of the lake and its surroundings with numerous picturesque bays and amazing cliffs attracts tourists from all over Russia and every corner of the world. It is one of the most popular tourist attractions in Russia. The lake has been under UNESCO protection since 1996. 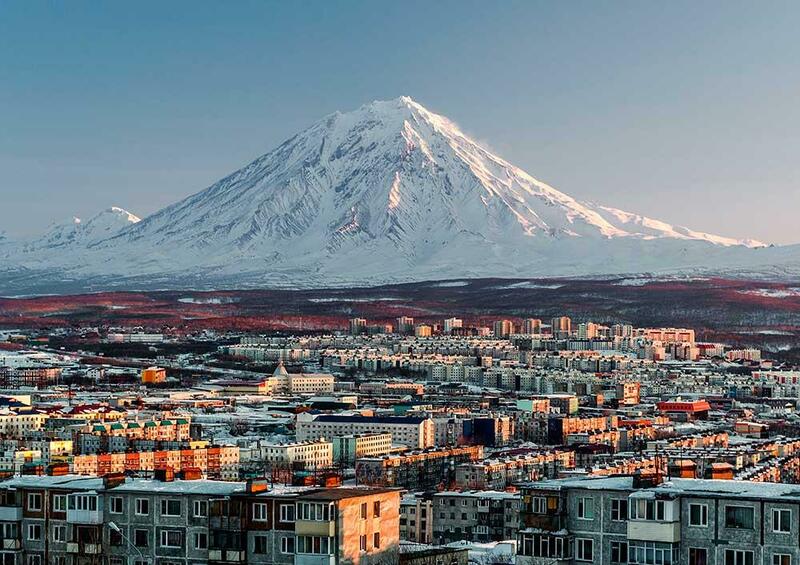 Kamchatka Peninsula, located in Russia’s Far East is a huge natural volcanology museum that is home to over 300 active and dormant volcanos along with dozens of geysers. There are 26 volcanos (including 12 active ones), alpine glaciers and lakes within the Kronotsky Nature Reserve, established in 1934. This Valley of Geysers is unique in Eurasia and is a truly global phenomenon. Over 20 large geysers, dozens of thermal springs, and gas-vapor spurts are located on a 6-km stretch of land. Volcanoes of Kamchatka are protected by UNESCO since 1996. Altai is a region in the southeastern part of Western Siberia that boasts a landscape rich in contrasts, including steppes, taiga, alpine tundra, and glaciers. Altai hosts four nature reserves, all under UNESCO protection. The Altai Nature Reserve is home to 1,500 species of higher plants and is famous for Lake Teletskoye (second only to Lake Baikal in terms of volume of fresh water) and the unique taiga landscape around the lake. The main sight of interest in the Belukha Nature Reserve is the two-peak Belukha mountain (4,506 m), which is permanently covered with snow and glaciers. The summit of this mountain was not reached until the twentieth century. The Katun Nature Reserve has a predominantly glacial landscape, as glaciers occupy up to 50% of its area. The largest glacier (the Katun Glacier) feeds the Katun River, which is very popular among rafters. There is also a beautiful cascade of glacier lakes here. Finally, the area is home to the Ukok Plateau, a so called "no-take" zone, where ancient cave drawings and ancient burials have been found. 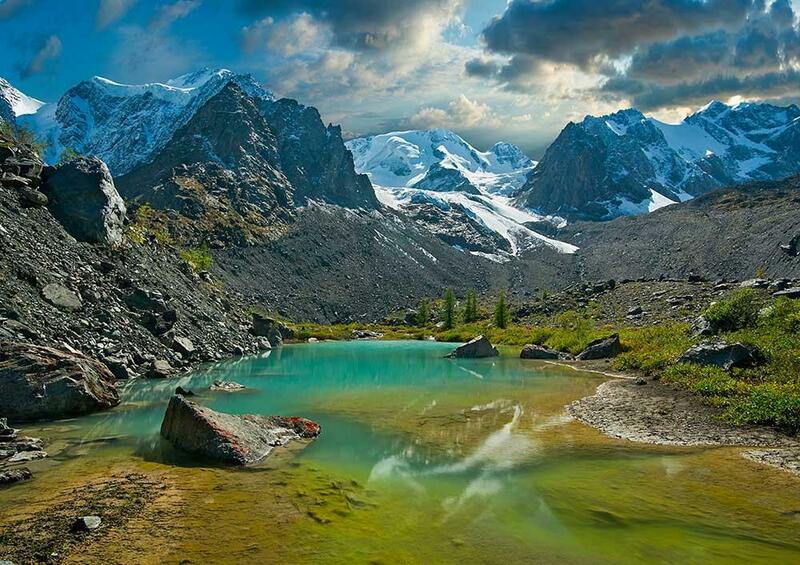 Golden Mountains of Altai are declared a World Heritage Site by UNESCO in 1998. This is a sand-covered peninsula in the southeastern part of the Baltic Sea, one of the largest aeolian (created by the wind) formations in the world. People have been reinforcing the structures destroyed by the sea and the wind since the Middle Ages. By the late 17th and 18th centuries, the forested area of the Spit had dropped to 10%. Settlements, roads, and trees were buried under the sand. In the mid-19th century, intensive forest restoration work was started. 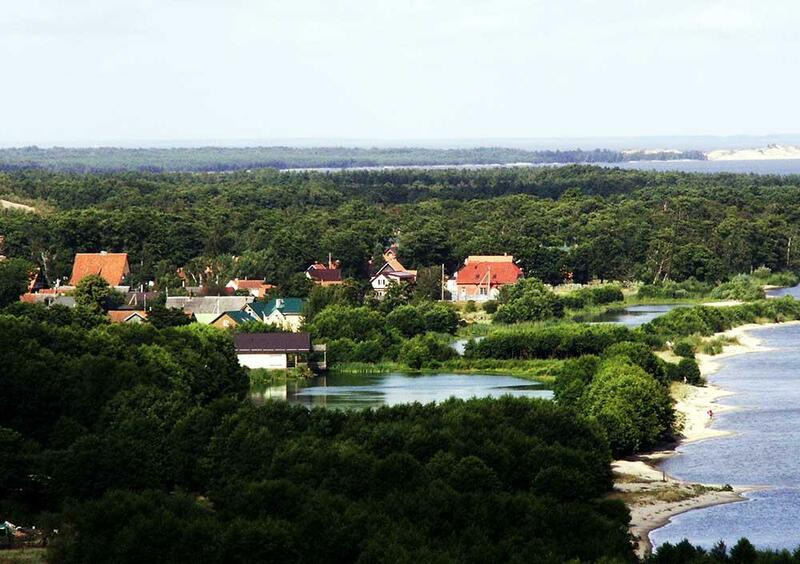 Today, two-thirds of the Curonian Spit is covered with forest. The unique landscape has been under UNESCO protection since 2000. 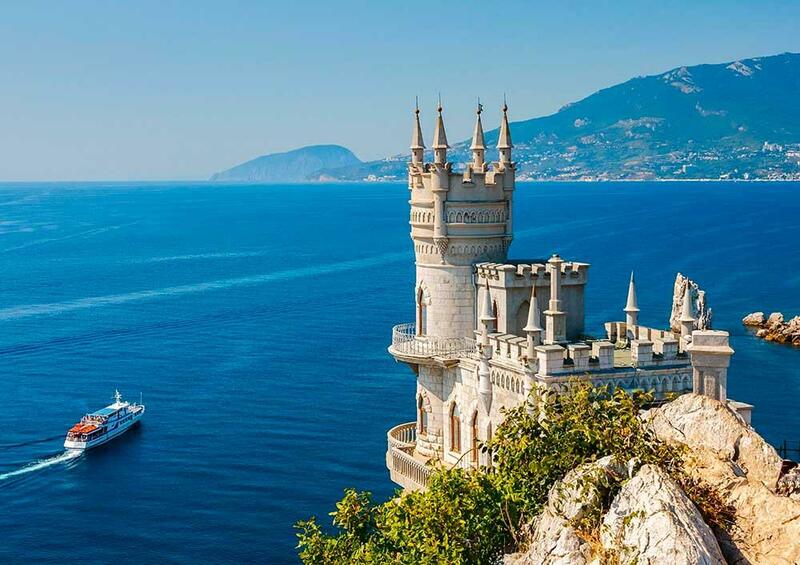 This miniature neo-gothic castle is perched on the steep Avrora Cliff in southern Crimea. A structure called the "Swallow's Nest" because of its miniature dimensions (10 meters wide, 20 meters long, and 12 meters high) and location was built in 1912 based on the design of architect Leonid Sherwood. The castle’s history spans more than a century during which it has gone through several owners and even survived an earthquake. It initially belonged to German industrialist Vladimir Shteyngel. At the beginning of World War I, the new owner opened a restaurant here. In the 1930s, the structure was deemed unsafe and shut down. It was only 30 years later that reconstruction of the building began. The castle is now open to tourists.